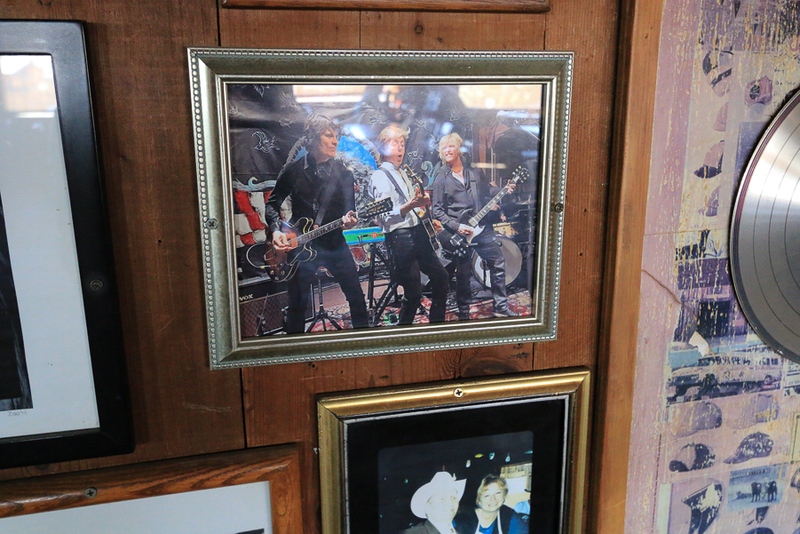 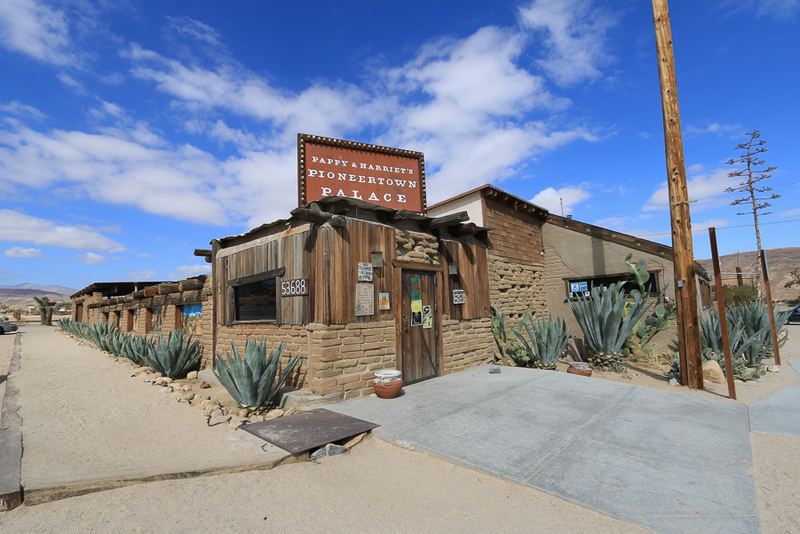 October 11, 2018 - We headed north to the high desert today to see Pioneertown and to have lunch at the famous Pappy and Harriet's Pioneertown Palace. 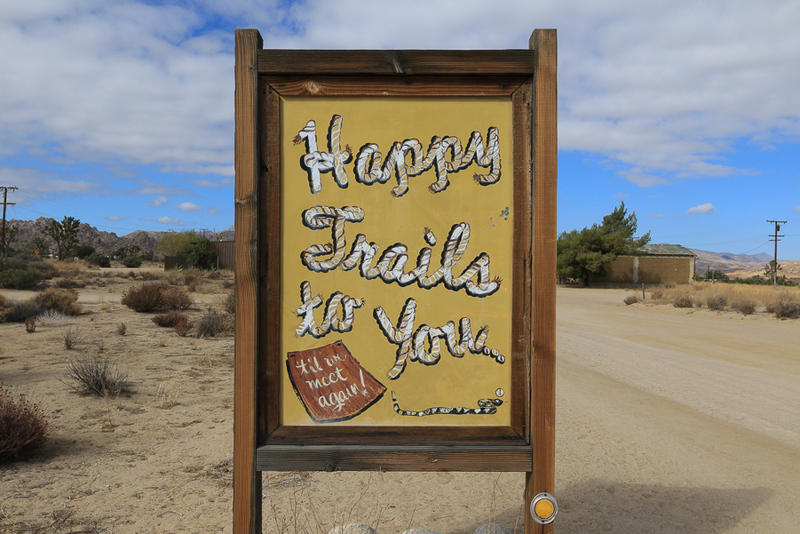 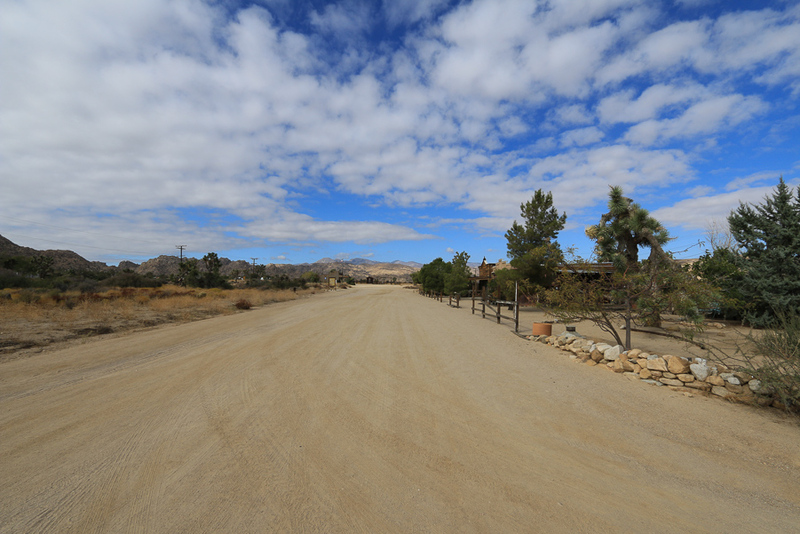 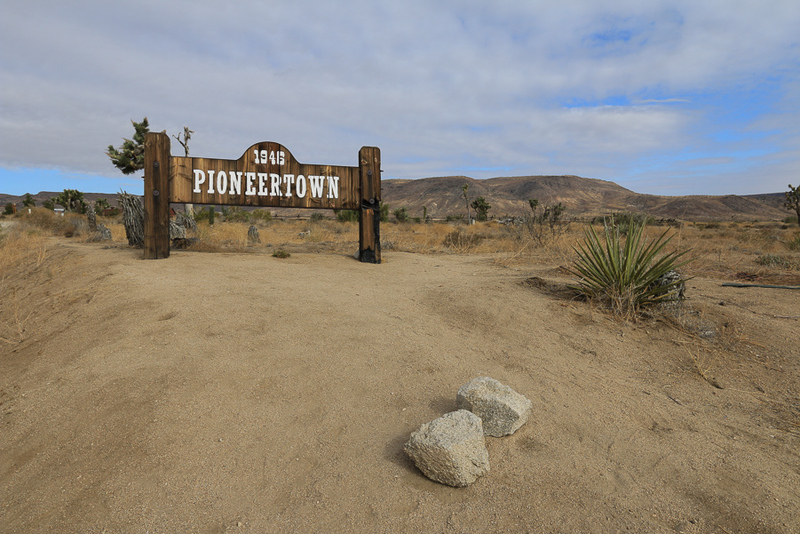 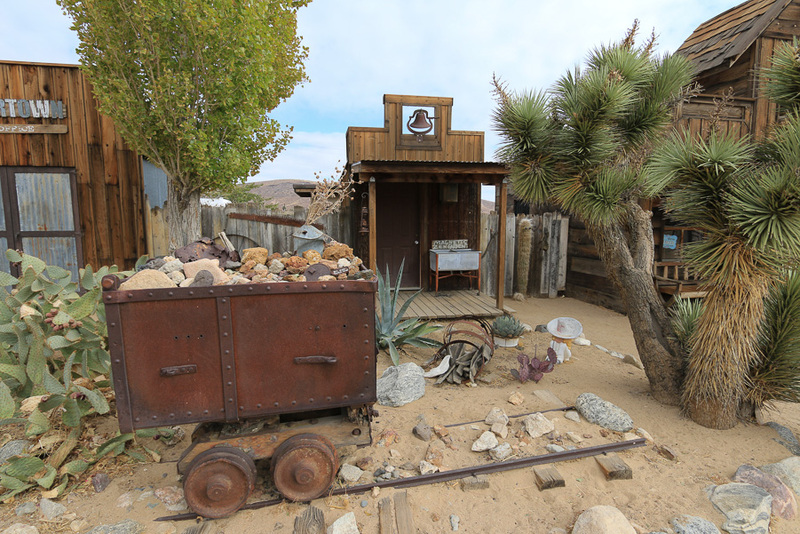 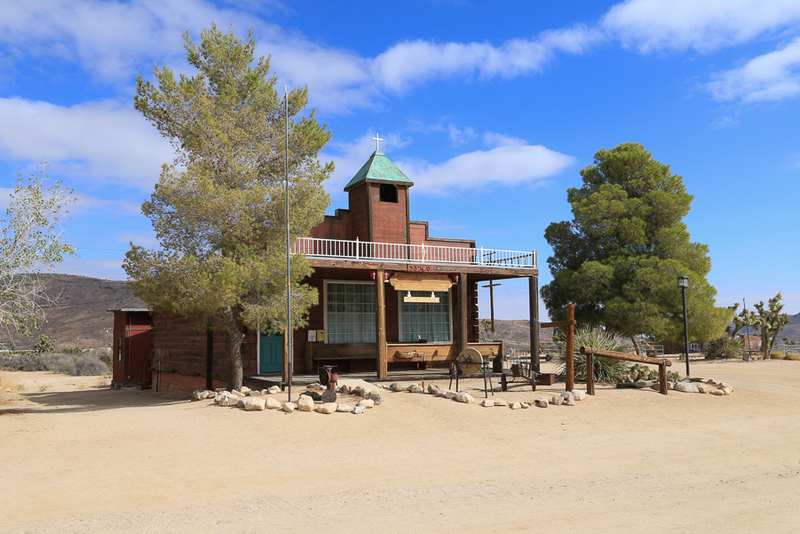 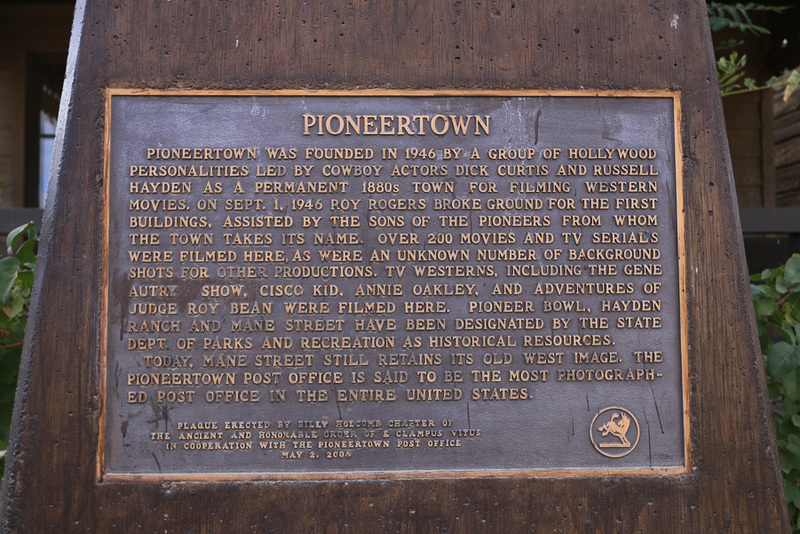 Pioneertown is an unincorporated community of the Morongo Basin region of San Bernardino's High Desert. 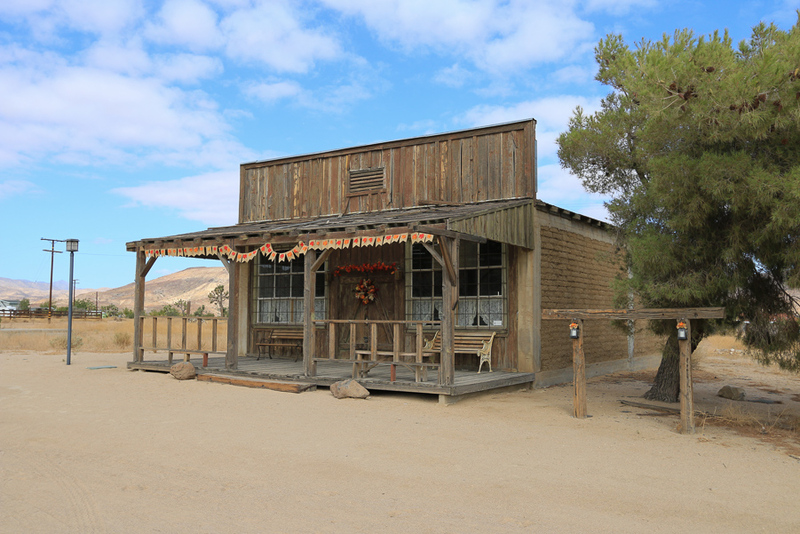 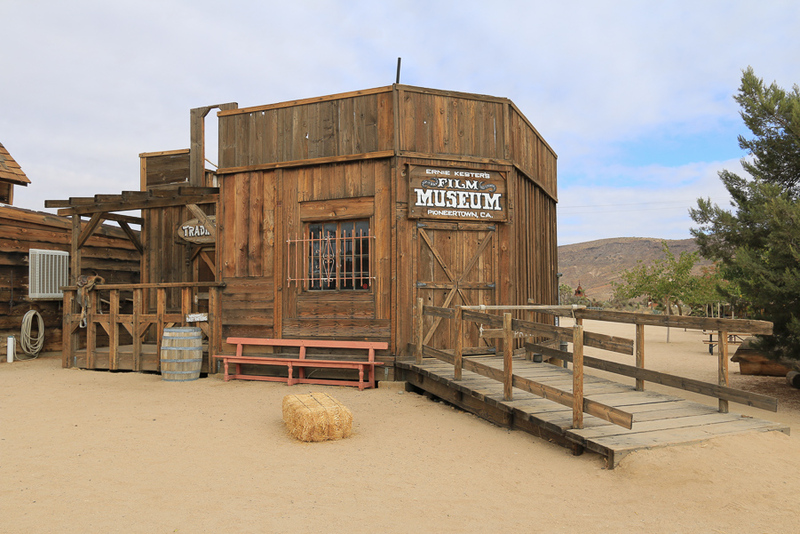 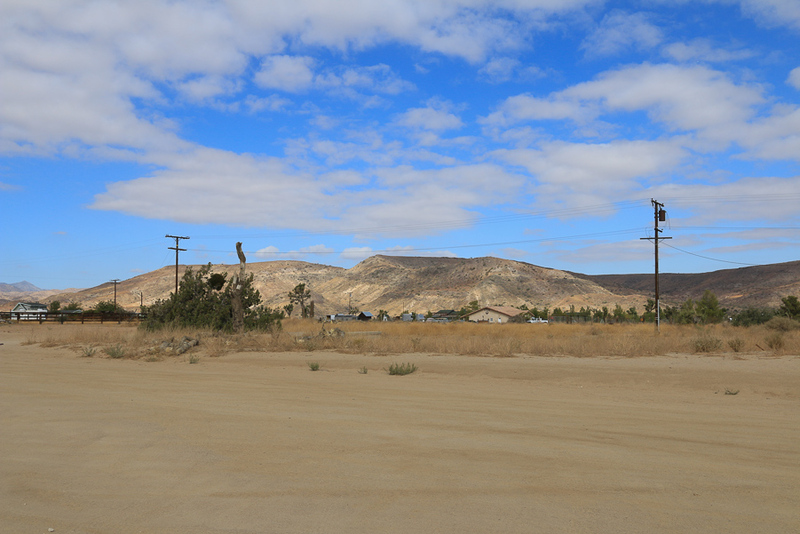 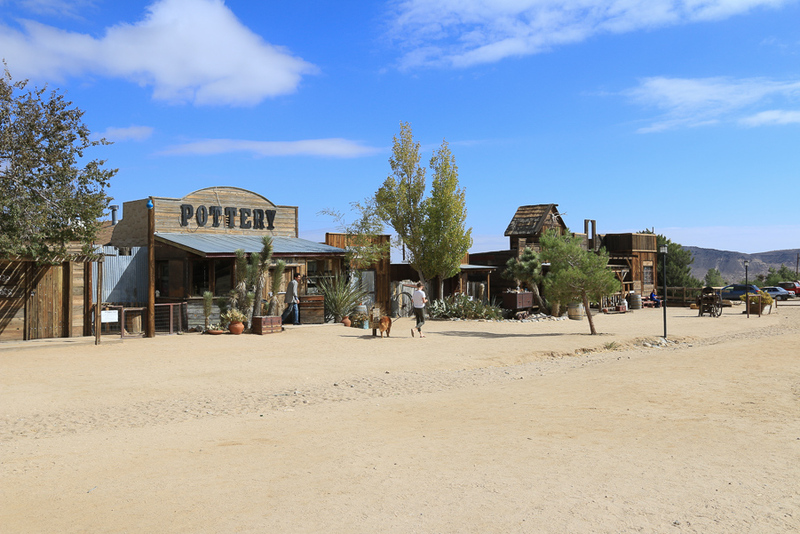 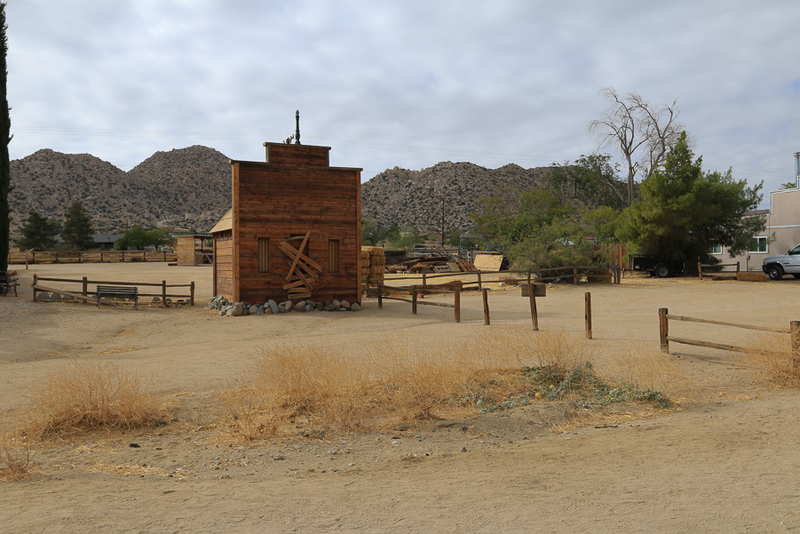 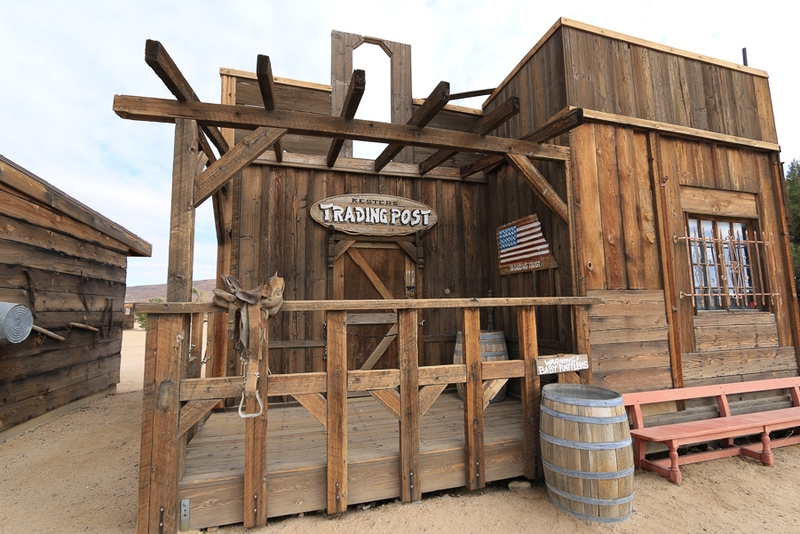 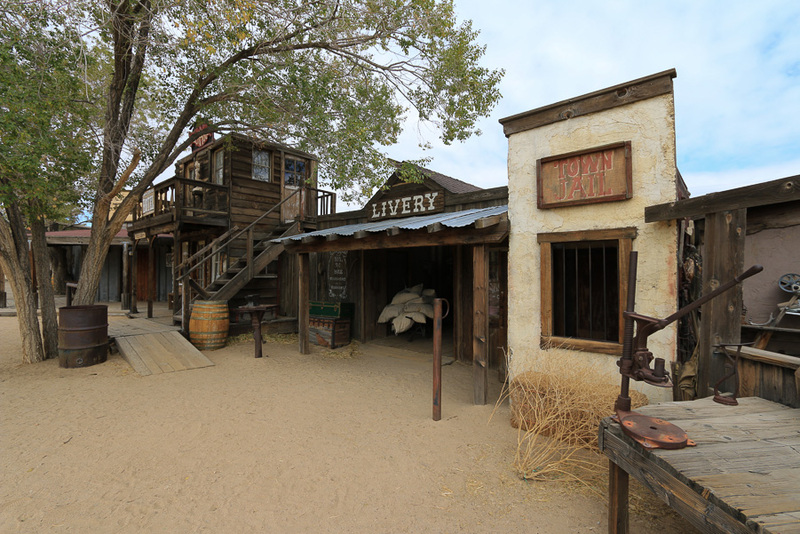 The town was built as an elaborate film set in 1946 and its Wild West facade was used in numerous Western films including the famous The Cisco Kid. 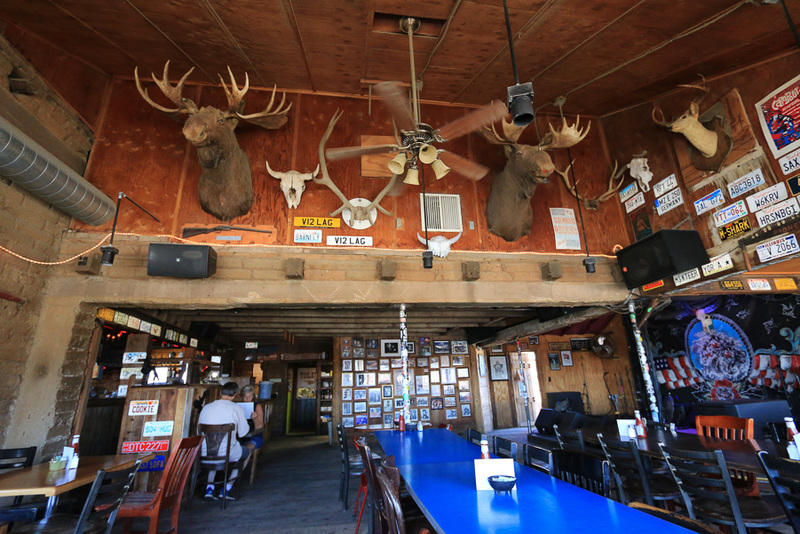 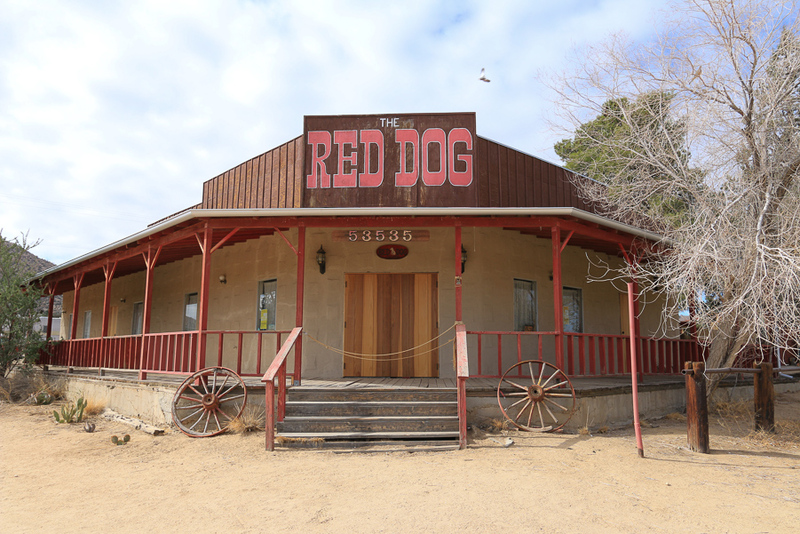 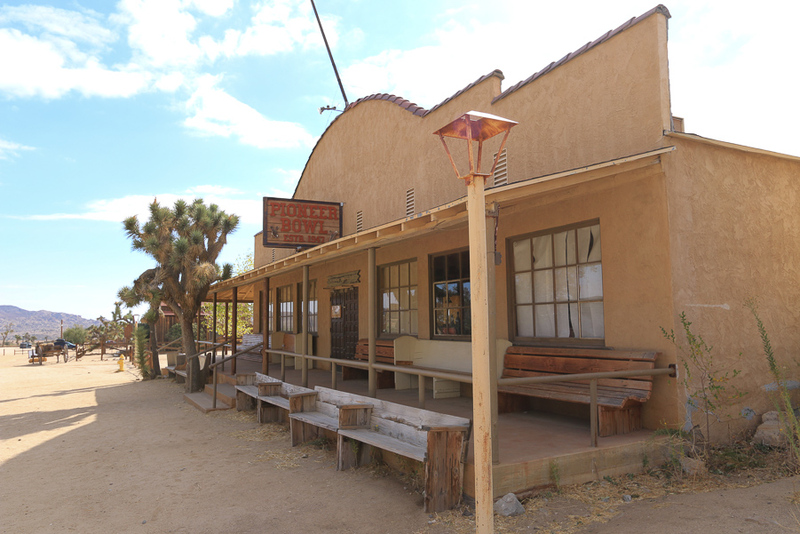 The "cantina" hosted stars like Gene Autry and Roy Rogers, who would belly up to the bar in several productions, and the saloon itself would serve as a place for stars to drink on camera in over 50 films. 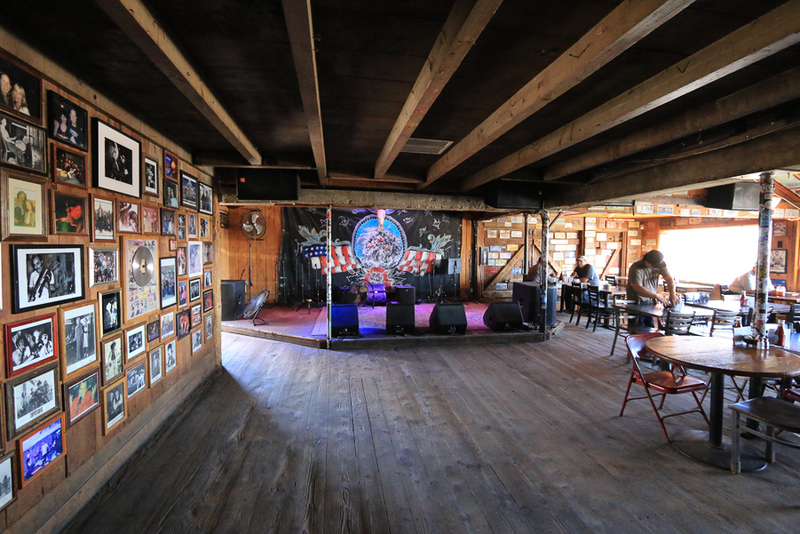 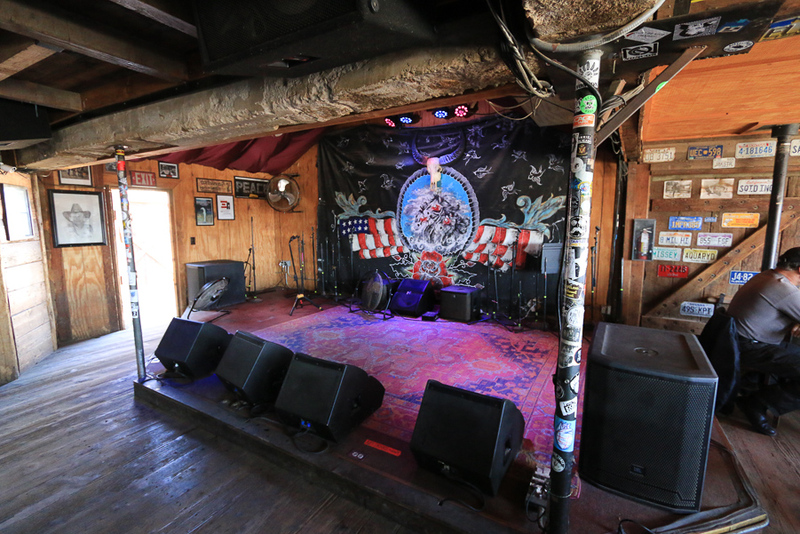 It's now more famous for its sound stage, hosting musicians like Paul McCartney, Robert Plant, Leon Russell, Sean Lennon and many more. 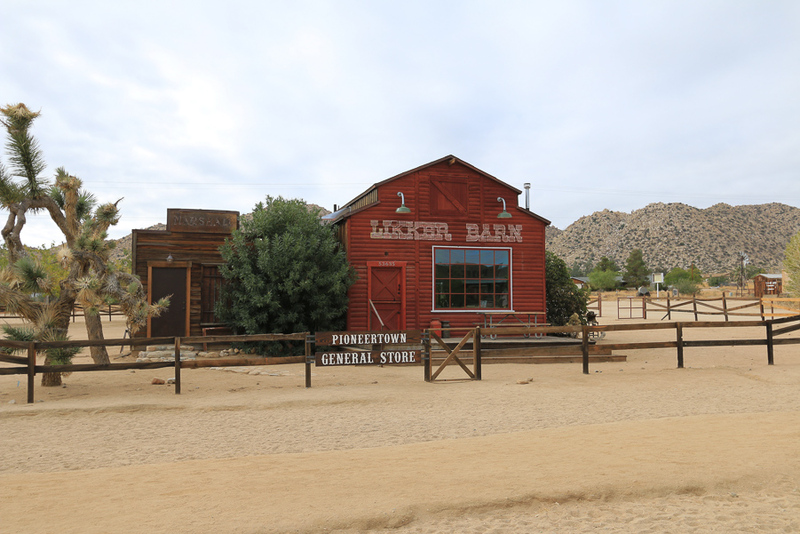 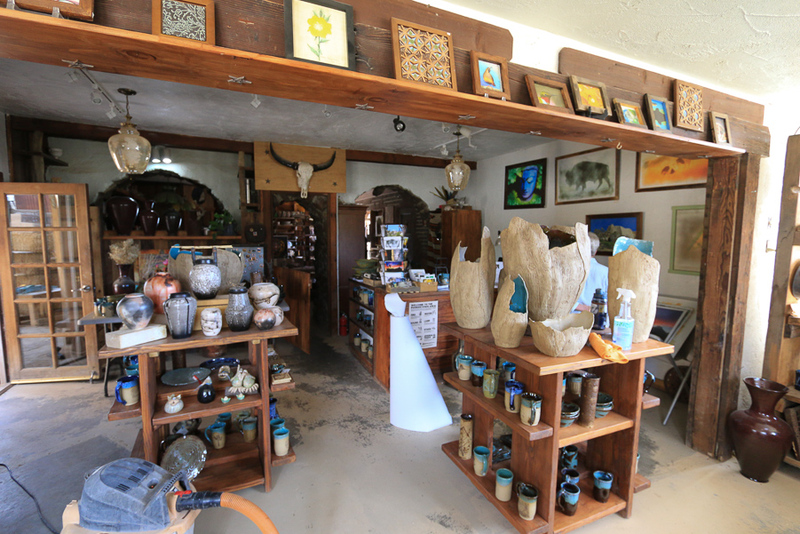 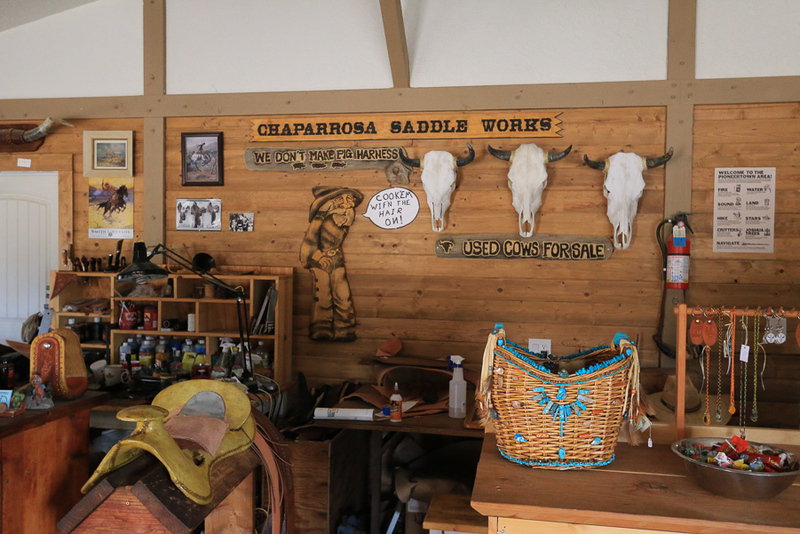 The stores are only open on the weekends for "Wild West" shows, but a couple were open today. 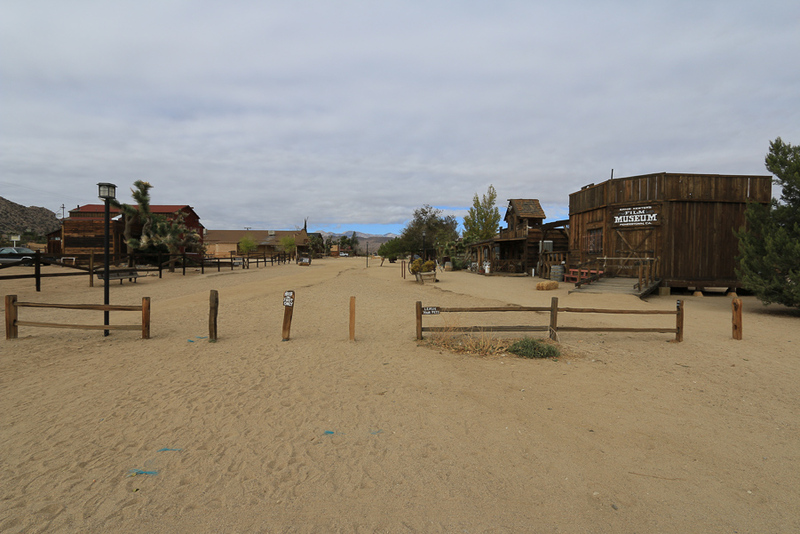 The main street here isn't "Main Street," but is "Mane Street." 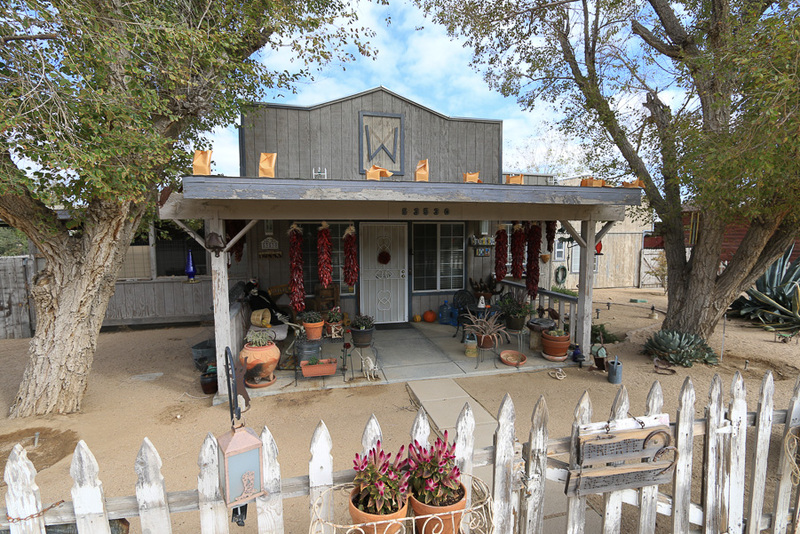 There are a number of private homes on Mane Street. 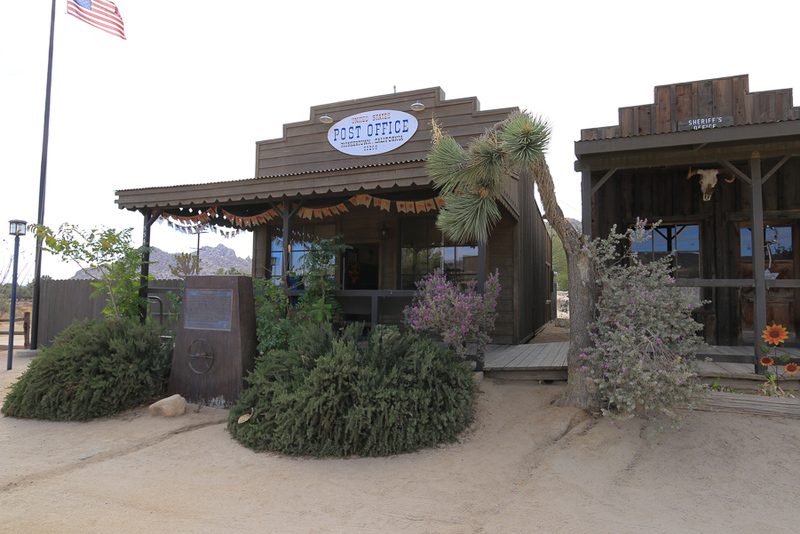 This is the official Pioneertown Post Office. 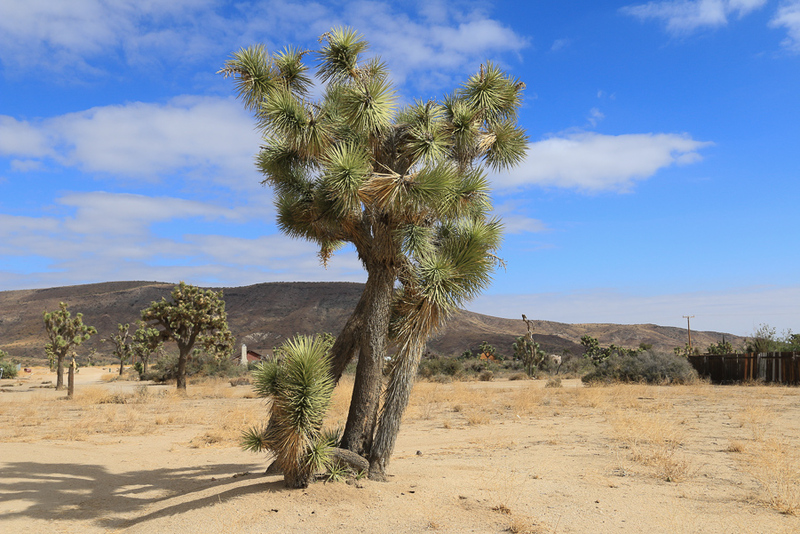 Joshua trees dot the landscape. 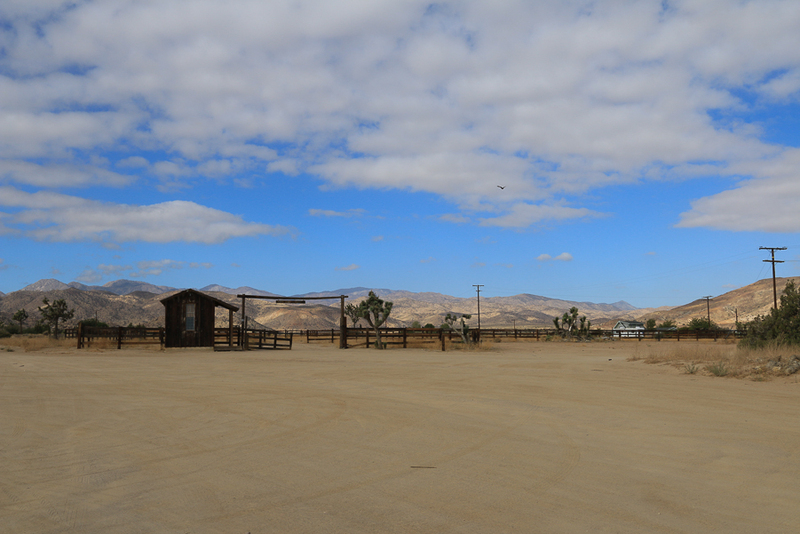 There's even a six lane bowling alley. 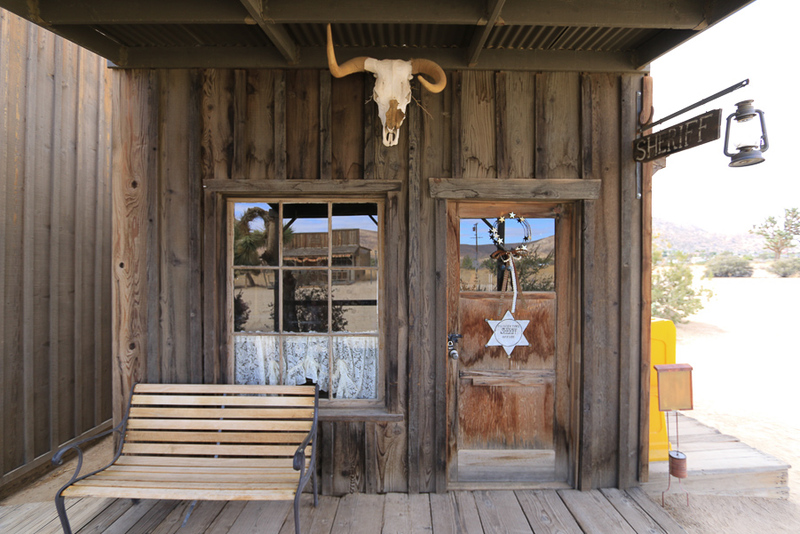 At 11:00 AM Pappy & Harriet's opened and by 11:30 AM it was filled up. 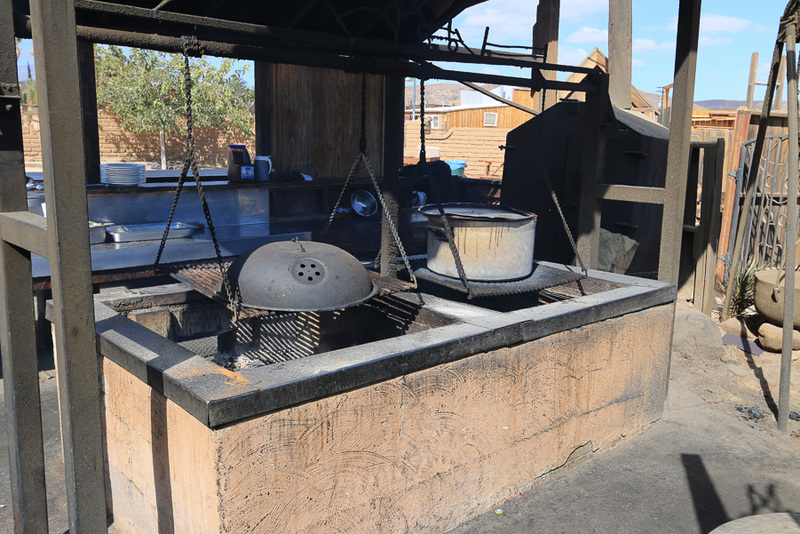 They were cooking chili in the old pots out back. 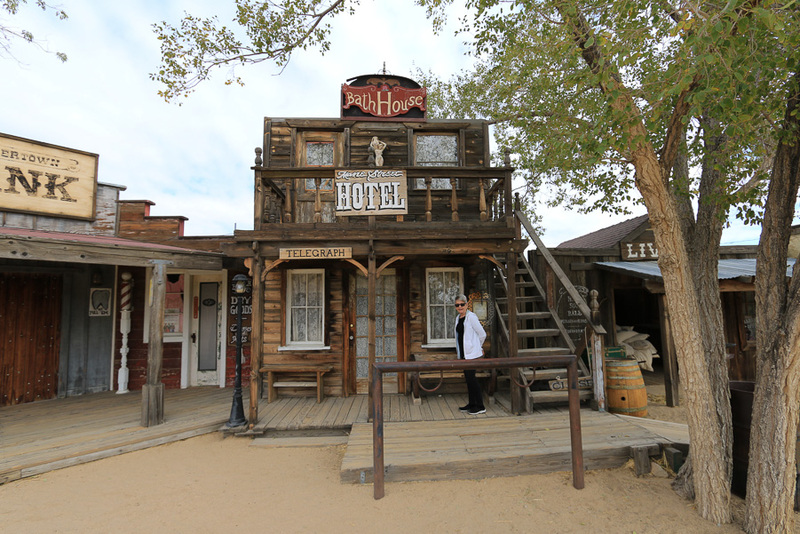 Once we were in, it was sensory overload! 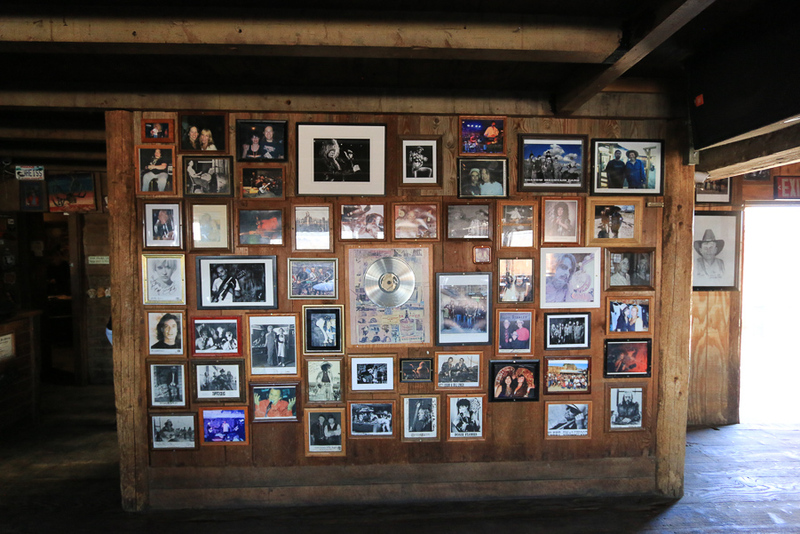 There have been many performers here and their event calendar is filled. 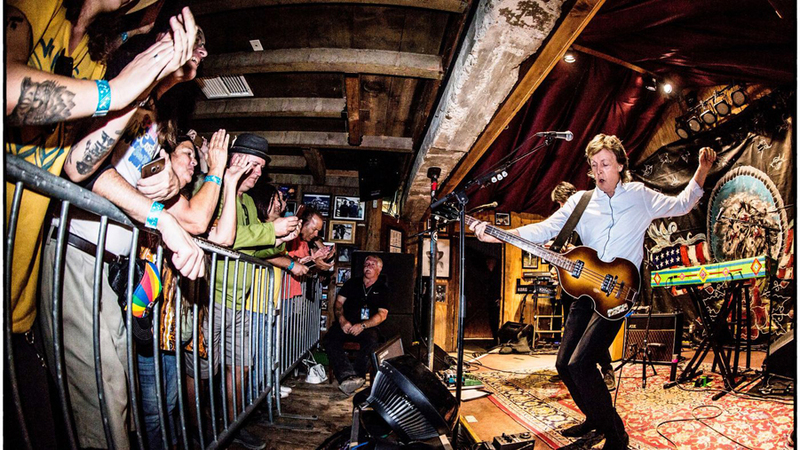 Just two years ago, on October 13, 2016, Sir Paul McCartney took the stage (LA Times photo). 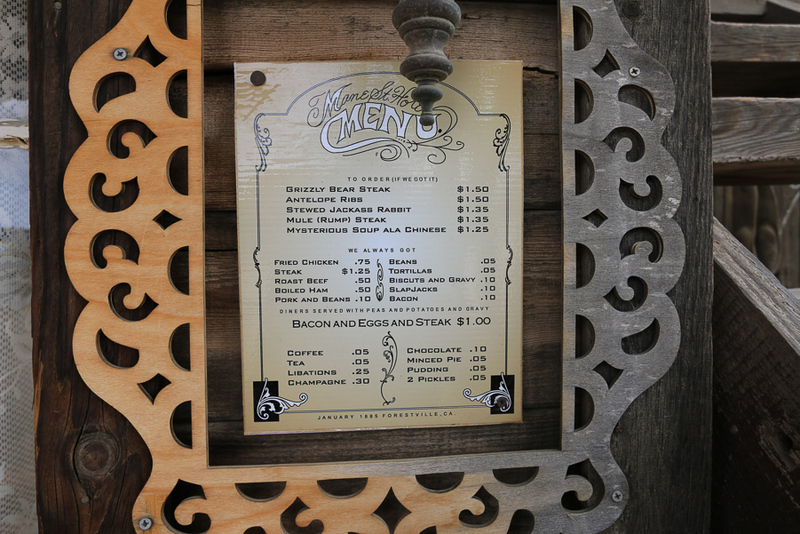 The food is fabulous! 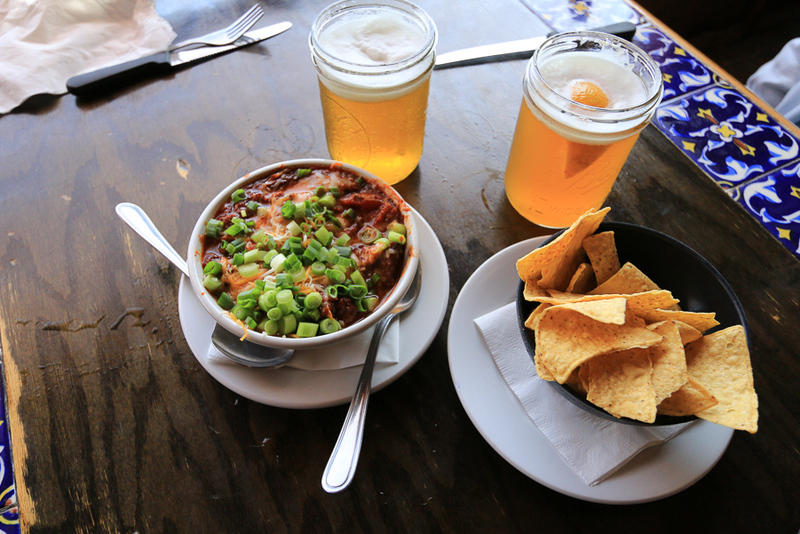 We each had Pappy's Chili that had plenty of shredded beef, cheese and green onions. 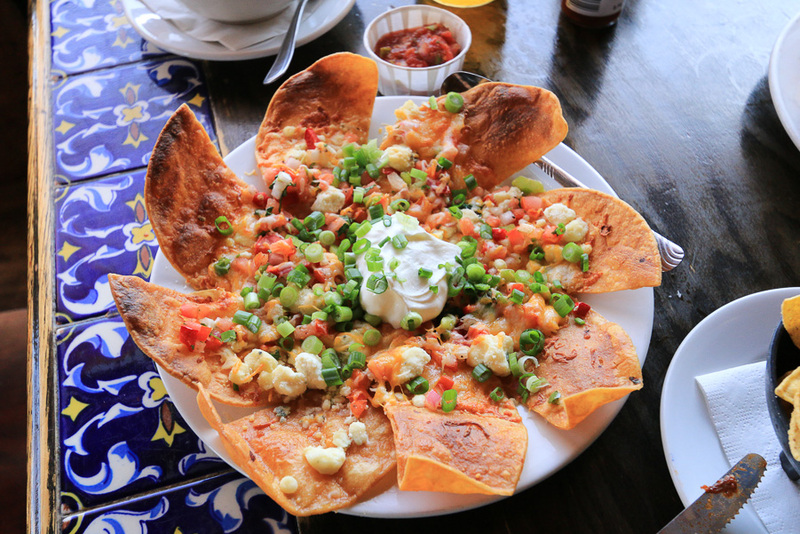 For our second course we split their fantastic "Nachos Von Rabbit" with cheddar, jack and blue cheese crumbles, pico de gallo, sour cream and green onions. 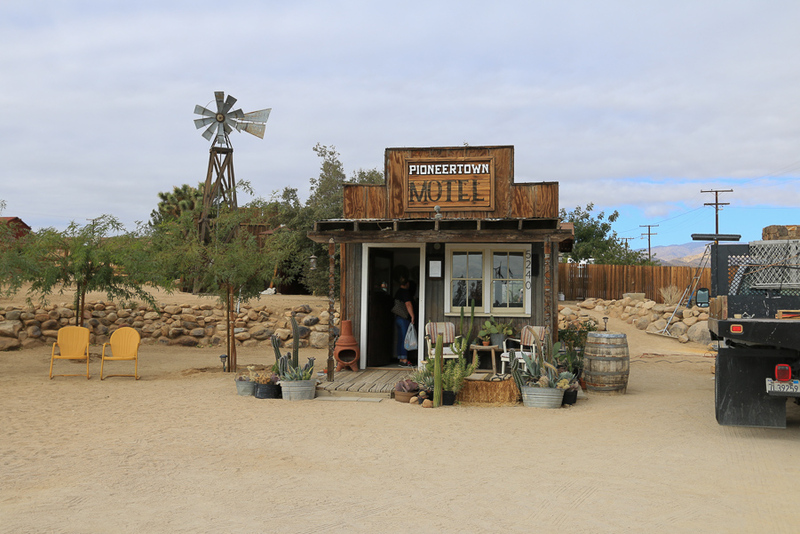 It was a completely fun filled day and we loved everything about it, especially the food!